Clothing drive to support the mission of WHW (Women Helping Women/Men2Work), empowering disadvantaged job seekers to succeed. 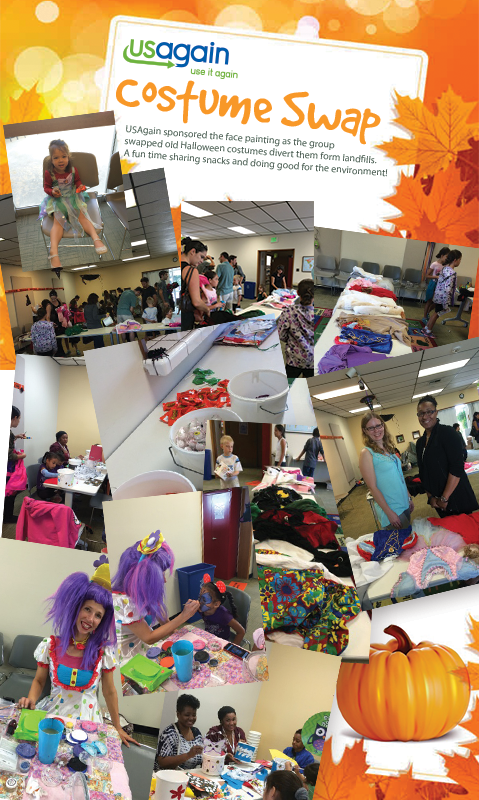 Santa Ana, California (September 1, 2014) – USAgain, a local textile recycling company, announces the continuation of a clothing drive to support one of WHW’s employment support programs, providing business clothing to empower disadvantaged men, women and teens to achieve economic self-sufficiency through employment success. The month-long drive starts September 1. Organizers will accept donations at USAgain collection bins throughout Orange County. The drive accepts new or gently used men’s and women’s business and casual clothing, shoes and accessories such as ties, belts, purses and jewelry. WHW has been serving men, women and teens in the Orange County Community since 1993. 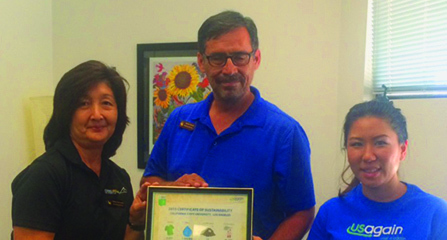 Based in Santa Ana, the organization has served more than 50,000 people since its inception. “WHW has played an instrumental role in equipping men, women and teens to seek gainful employment. This year was a record-breaking year, serving over 6,500 people and the clothing that is donated truly does change lives by equipping our job seekers to look professional, which is a critical part of securing the job,” Robyn Williams, director of programs at WHW, said. USAgain is a local recycling company actively spreading it’s message about textile recycling through community events and partnerships. “It’s an easy decision to give back to our local community by hosting these events. We thank WHW for giving us this opportunity,” CEO of USAgain Mattias Wallander said. According to data from the EPA, more than 12 million tons of textiles are trashed annually. On an individual level, the average American throws away 68 pounds of clothing per year. For more details on the event, visit www.usagain.com/whwclothingdonation. 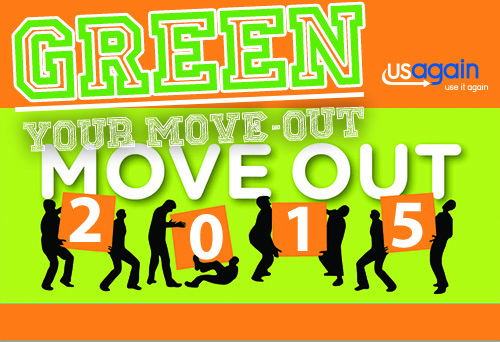 USAgain looks forward to future community support and green events. USAgain looks forward to future community support and green events. USAgain looks forward to future community support and green events. LAKE FOREST, CA. – Southern California area residents diverted 2.4 million pounds of clothing and shoes away from landfills in 2013, according to Lake Forest based textile recycler USAgain, demonstrating that convenience plays a key role in the continued growth of people recycling their unwanted clothing and shoes. By diverting 2.4 million pounds of textiles from landfills, USAgain and its patrons saved 17.1 million pounds of CO­2 from entering the atmosphere, over 3.4 billion gallons of water, and 14,034 cubic yards of landfill space. That’s enough to fill 562 garbage trucks. 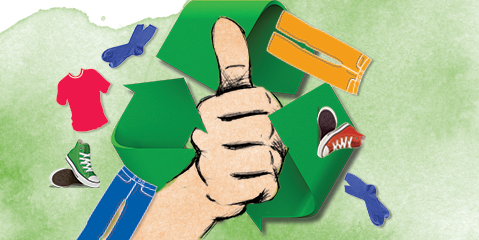 Nationally, a total of 56 million pounds of textiles were recycled by USAgain. In addition, USAgain planted more than 200,000 trees around the globe in 2013, most in partnership with Trees for the Future, an agroforestry organization. The trees will serve to sequester carbon emissions and repair damaged ecosystems, helping to make the planet a greener, more inhabitable place. USAgain – a leader in the textile recycling, is a for-profit company that recycles and resells r clothing and other textiles. 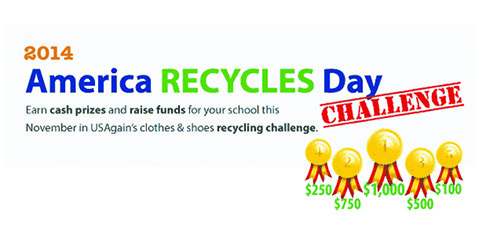 Its mission is to provide communities with a convenient and eco-friendly option to rid themselves of unwanted clothing and shoes, which is diverted from landfills. 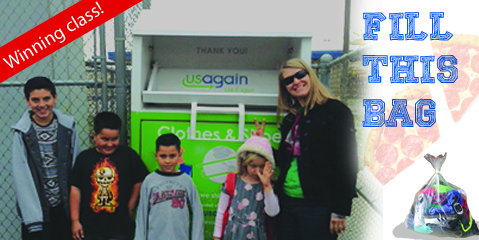 Recognized by the Better Business Bureau with an A+ rating, USAgain maintains more than 14,000 collection bins in 18 states. USAgain has partnered with the City of Santa Monica for two one-day collection events in 2014, the first of which is February 8th, then December 13th. 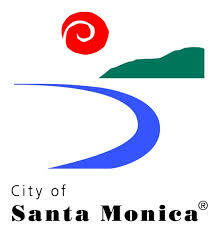 Both collections will be held at the City Yards, located at 2500 Michigan Avenue, Santa Monica, CA 90404. For more information, read the official press release. 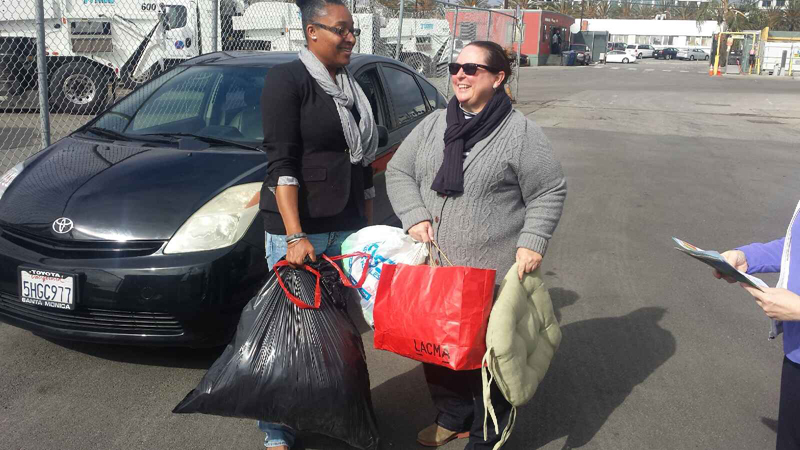 UPDATE: Our first collection day at City Yards was a success! Thanks to all who came and recycled suplus textiles.